Adam Green has recently published his research which describes how engravings on Harappan stamp seals allow the identification of particular artisans in the past. In his article Finding Harappan Seal Carvers: An Operational Sequence Approach to Identifying People in the Past he explains how three-dimensional optical microscopy can be used on stamp seal engravings for reconstructing how past production events were undertaken by different individual carvers. A benefit of this technology is that it is non-destructive to the artefact. 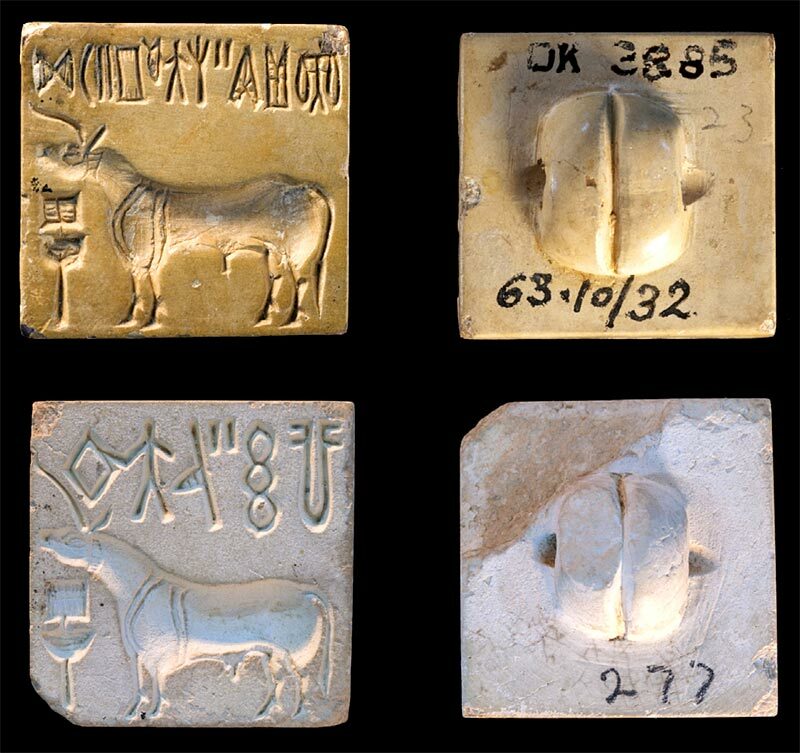 He has applied this high resolution technique to a sample of five unicorn stamp seals from Mohenjodaro, and his analysis suggests that their engravings were done by three different artisans. Green writes that "the differences in their operational sequences provide preliminary insights into the boundaries between the communities of practice that produced Harappan seals. This approach can extend archaeological inquiry into many aspects of the social conditions in which seal production occurred." The potential of this methodology to differentiate between the producers of the seals offers exciting possibilities in the future. He concludes: "The goal of this article was to present a new interpretive framework that builds upon the strengths of object biography, practice, and technology to find people in the past. Analyzing the microtopography of seal engravings made it possible to reconstruct operational sequences. Engravings from both sides of Seal M-325 suggest that the operational sequences of a particular person will be similar to one another, especially if they are associated with the same object. Differences in carver manifest in the operational sequence of each engraving." One can only imagine how these new methods of analysis will further Indus studies even more in the future. This is very recent research and was published in the Journal of Archaeological Science in its August 2016 issue. Green, Adam S. (2016) "Finding Harappan Seal Carvers: An Operational Sequence Approach to Identifying People in the Past." Journal of Archaeological Science. 72:128-141. For further details of this research, please contact Adam Green via email ag952@cam.ac.uk.